When it comes to damaged windscreens, certain people may be in a better position than others to remedy the problem. Some may be short on cash, while others may struggle with finding the time to visit a windscreen repairs specialist. But if there’s an obstruction in your line of vision, such a crack or a chip in the glass, it’s important to get your windscreen repaired or replaced as soon as you can. 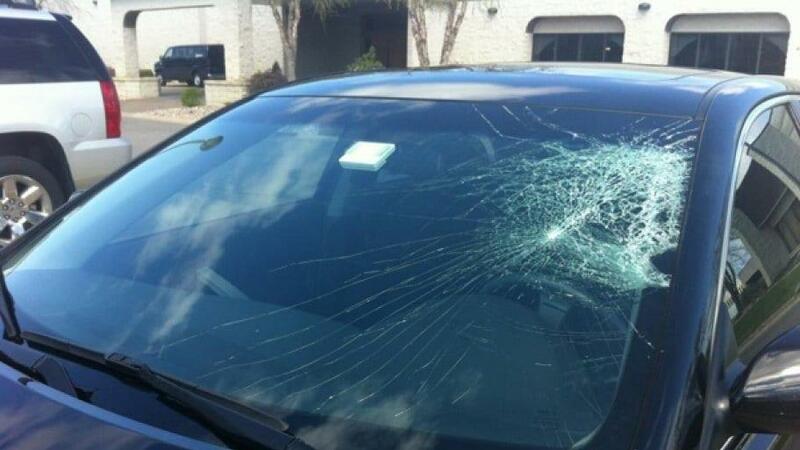 Windscreen damage can occur as a result of temperature changes, pressure, debris and other factors. However, no matter what the reason, any damage to a windscreen should be fixed promptly. Here are four reasons why you need to act fast when your windscreen becomes damaged. A damaged windscreen can cause bigger problems if it isn’t repaired or replaced promptly. For instance, a small crack in the corner can expand across the entire windscreen while you’re driving, reducing the safety of your vehicle and increasing the chances of an accident occurring. Until you can get to a windscreen repairs specialist, you can take steps to prevent further damage by closing doors slowly with limited force, parking your car in the shade, and delaying any automatic car washes you have planned. Once your windscreen is fixed, you can resume your usual activities. On most modern cars, windscreens make up 48 per cent of the structural strength. Windscreens are therefore vital for keeping drivers and passengers safe in the event of an accident or collision. When a damaged windscreen isn’t fixed, the structural support it provides can be drastically reduced. A damaged windscreen can also obstruct a driver’s visibility, causing blurriness and distraction. If a chip is left unfixed, a bigger issue can arise – the chip can turn into a crack that necessitates complete windscreen replacement rather than repair. If you find a chip and the damage is smaller than a 5 cent coin, it will likely be able to be repaired. But if a chip spreads into a crack, repair is no longer feasible. Replacing a windscreen can be quite expensive, so fixing a chip as soon as possible is a good way to save money. If you have car insurance, the cost may be covered by your insurance provider. Some windscreen repair specialists even take care of the process for you by billing your insurance company directly. Fixing a damaged windscreen will save you time in the long run, as repairing a minor chip will take much less time than replacing a whole windscreen. Windscreen repairs take around 30 minutes compared to a few hours for replacement. Keep in mind that the time required will depend on the condition of your vehicle, the technician’s assessment, and how long it takes for a specialist to prepare your car. If you’re too busy to take your car to a windscreen specialty, many windscreen repair companies offer the convenience of onsite response services that operate 24 hours, 7 days a … Read More..